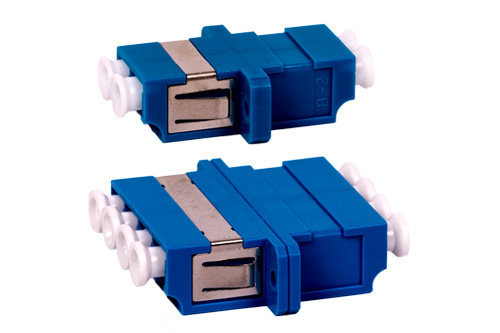 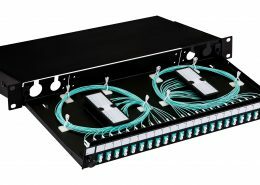 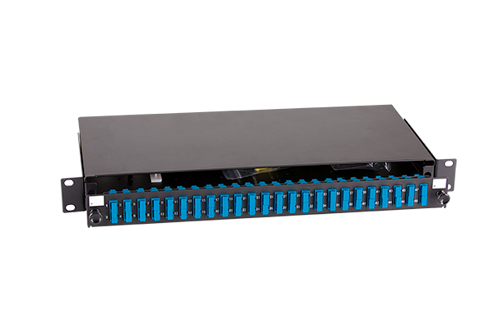 LC fibre optic adaptors are available in singlemode for both PC and APC and multimode PC, all with ceramic sleeves as standard. 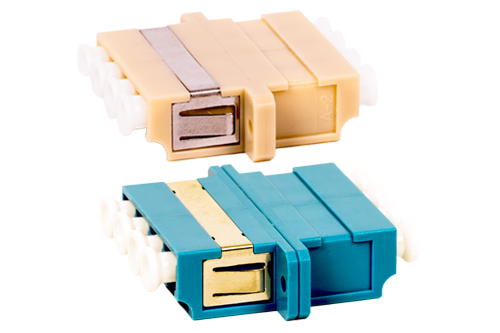 The adaptors come in duplex and quad options. 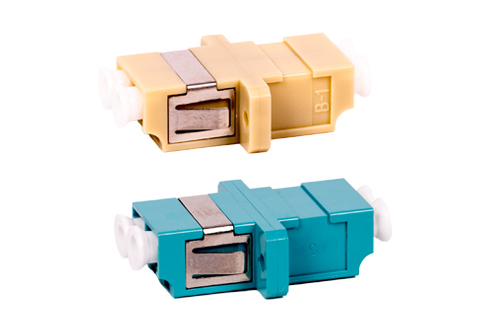 The LC adaptor is available in standard colours including blue (singlemode PC), green (singlemode APC), and beige or aqua (multimode).